I’ve already been looking ahead to 2013 goals, so wanted to give a year-end update on my 2012 goals. 1. Memorize “one another” passages. 2. Complete our “others” projects. We completed seven of the twelve projects I listed. However, we did additional projects that weren’t on the list. I realize the need to continually challenge myself to focus on others. throughout the day for seven days. Sadly, I never got traction with this goal. In 2013 I hope to focus on strengthening my prayer life. 2. Exercise for twenty minutes at least four days a week. only one sweet/baked good per day. While I can’t say I met this goal, I did do much better in limiting how many sweets I ate on a daily basis. 1. Read through my book list. I read ten of the twelve books. The two remaining weren’t available through the library or PaperBack Swap, and I didn’t know if they would be worth buying. Therefore, my 2013 list will only contain books that we already own or can get at the library. photos. I didn’t work on this goal very much. 3. Write an e-book. I didn’t meet this goal, but I did make progress. I’m finding that working on it fifteen minutes a day is the perfect strategy for me right now. I’m hoping that 2013 is the year I finally complete this. 2. Plan at least one “fun” homeschool day each month. volunteer opportunity we can do as a family. We volunteered together early in the year, but I haven’t found an ongoing opportunity for us. I am excited that our older daughter will be able to help me in our church nursery and Children’s Church ministries beginning next month. While I didn’t specify our financial goals here, we were blessed to be able to make some progress in that area. We paid for our vacations and other traveling with cash, we saved a good amount towards purchasing another vehicle, and were able to pay a little bit down on our mortgage balance. I’m looking forward to setting my goals for my 2013. I’ll post them next week! You did great this year! 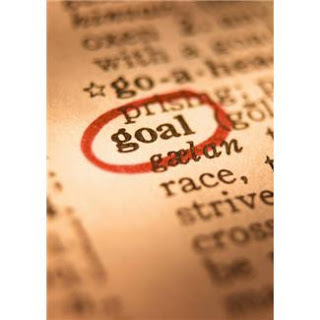 I'm looking forward to my new goals with the New Year, too. Nice! Like the volunteer as a family one! Can't wait till my boys are a bit older so we can do that! Can't wait to see your 2013 goal!